We all have setbacks, big or small ones. A missed promotion, a family problem, a big financial loss,… For some, these setbacks mean ‘the end’, for others, they trigger a ‘new beginning’. Here’s how Patrick Demoucelle stepped up from a severe setback – and how you could do so too. When Patrick, then 40 years old and enjoying a thrilling and successful life, learned 12 years ago he had Parkinson’ Disease, it was quite a shock. After a period of denial, reality crept in. And it didn’t feel great. Tremors, slowness, involuntary movements, paralysis – gradually growing in importance. Reasons enough to feel like a victim. And here he is, 12 years later, still not enjoying the disease, but even stronger than before. With an attitude that inspires others. Not notwithstanding the disease, but thanks to the disease… His secrets? Asking the right questions. And searching for good answers to these questions. Here are the 3 fundamental questions that helped Patrick give meaning to his setback. When we have a severe setback, most of us tend to think about it very often. And usually these are no positive thoughts. Yet –negative thoughts alone do not provide a realistic, complete picture. They provide a distorted picture, one that makes us feel ‘from bad to worse’. Research shows that finding something good about the setback, however small, has a very positive impact on the capacity to step up. So go for it, and ask yourself that question of perspective: What could be good about this? You will go from being negative to being somewhat grateful. So often, when we have a setback, we consider our situation as bad. Really bad. Much worse than others could imagine. Much worse than others have ever experienced in their lives. Yet, for virtually every setback we encounter, there are people out there who have encountered a similar setback. And who have dealt with it very well. Who succeeded in stepping up, and making the best of it. Why try to solve the solution ‘on your own’? Why reinvent the wheel? By talking to people that dealt effectively with the setback, you can learn so much. Try to find out how they acted. Try to learn more about their convictions. And emulate them. Or you might want to talk to people around you that you consider quite ‘wise’. People who might not have faced a similar setback, but that always seem to know how to react to difficult situations. Most probably not everything they will tell you will resonate. But they must be doing something right – otherwise they wouldn’t be coping so well. So go for it, and ask yourself the question: What can I learn from others who deal well with such situation? You will go from ‘being lost’ to ‘being inspired’. Now look for those aspects where the setback has meaning. Where it makes you or others stronger. Where, well used, it fulfills a true, positive purpose. Turn the table. Search how ‘leveraging the setback’ could make the world a better place (for you and/or for others). Perhaps the experience of your setback gave you powerful insights others don’t know about. Or you might want to help others deal better with similar setbacks. You might even want to help others avoid similar setbacks. So often, tragedies lead to the most wonderful initiatives. These initiatives are not only great for mankind. They also help the person who had the setback in the first place. Once you know your setback served at least SOME purpose, it becomes so much easier to live with it. This is about ‘accounting magic’: turn a liability into an asset. So go for it, and ask yourself the question: How could I leverage this setback so it serves a purpose? You will set yourself on the path from ‘a lesser life’ to ‘an enhanced life’. These are the 3 questions that helped Patrick cope with his disease – and become even stronger than ever before. 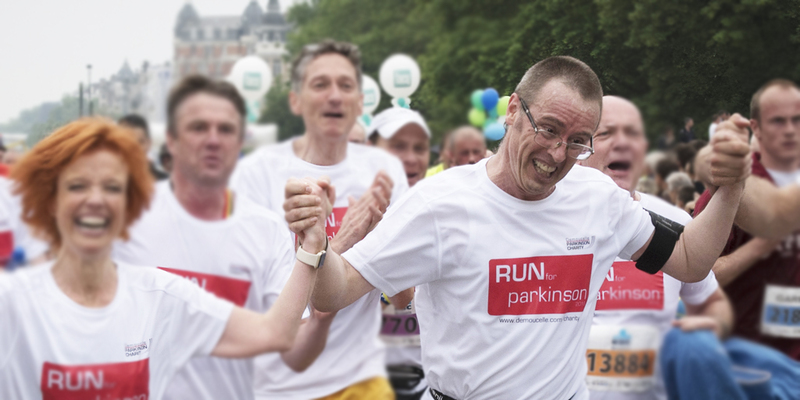 At the end of May, he will run the 20km of Brussels, in spite of his 12 years with Parkinson. For him it’s the third time – but now other Parkinson runners are participating as well. And the proceeds are going to scientific research on Parkinson’s disease. Patrick made an asset of his disease: he uses it to inspire other patients (as well as non-patients). And to raise funds to get to a cure (for him and for all patients). If he can step up and use his setback to help others – you probably can too. Ask yourself these 3 questions, and search for answers. They might not come immediately. But if you keep asking them, you’ll get there. Promised. You struggle somewhat with a professional setback? Resilience doesn’t come that ease? Don’t hesitate to contact us if you want some guidance. We also give boost seminars on the topic of resilience.